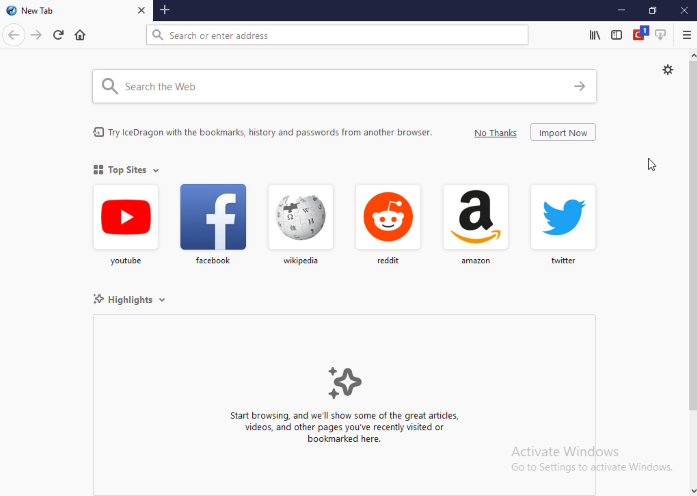 By default, when you open a new tab you will see a list of your most visited websites. However, you can make the 'New Tab' page display whatever page you want. 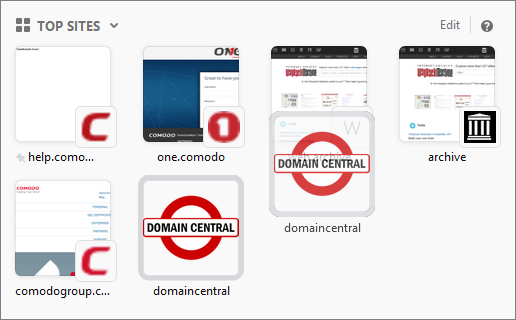 Each website is shown as a tile.Tiles can be deleted and rearranged as you see fit. Simply click and drag the tile into the position you prefer. Select ''Open in a New Private Window' to avoid saving in your browsing history. Select 'Delete from History' to remove a site from your browsing history. There are the following options available: 'Edit' and 'New tab Preferences'. Click 'Add' to save your settings. Click 'Done' for the settings to take effect. This lets you configure sites to be viewed on a new tab. Select 'Highlights' to enable sites you have recently visited or bookmarked.You will see: Top sites, media, an animated GIF. 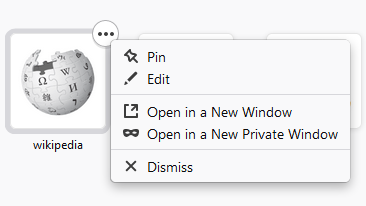 You can: Bookmarks, Save to pocket to manage articles, (save, remove or open article in a new tab). Select 'Snippets' to view the 'Progressive Web Apps'. Click 'Library' > 'History' > 'Clear Recent History' > select 'Clear Now' button.